Friss Hús 3.0 is calling for entries! The Friss Hús Shortfilm Festival is back! We are glad to inform you that Daazo.com will organise the Friss Hús Budapest International Shortfilm Festival for the third time next year. The festival will take place at the end of March 2015. 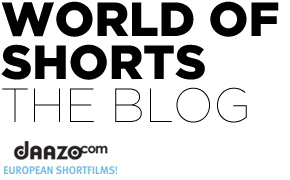 We are expecting creative and innovative short films that were realised after January 2013. Besides the screenings, we are inviting the audience and the filmmakers to different events, special meetings and exciting afterparties in the nightlife of colourful Budapest. If you have a live fiction, animation or documentary short film which is no longer than 30 minutes and was shot after January 2013 – don’t hesitate, submit! The deadline for early bird submissions is 30th of November 2014 and the final deadline is 31th December 2014. You can submit your film through Daazo.com, at the page www.daazo.com/frisshus15. Visit the page for more details about the submission process as well as other festival information. Check out the Facebook page of Friss Hús, too, where you can find news about the festival (jury, deadlines, etc.). Previous postBerlinale Talents 2015 Next postApply for the Eastweek screenwriting workshop!